The world's largest independent lending library with over 175 years of history, 1m books & 17 miles of shelves. 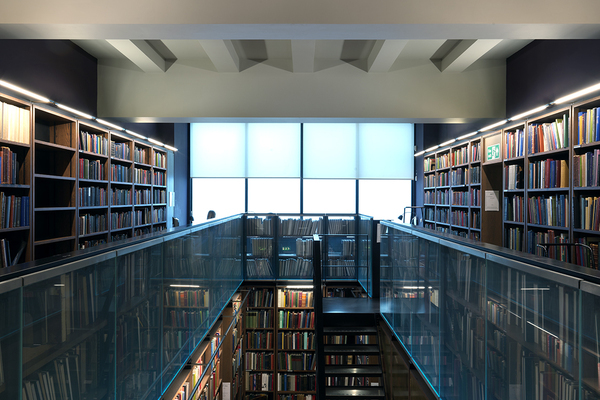 Atmospheric Victorian bookstacks, elegant Reading Rooms & contemporary RIBA award winning space provide a unique literary haven. The London Library is the world’s largest independent lending library. 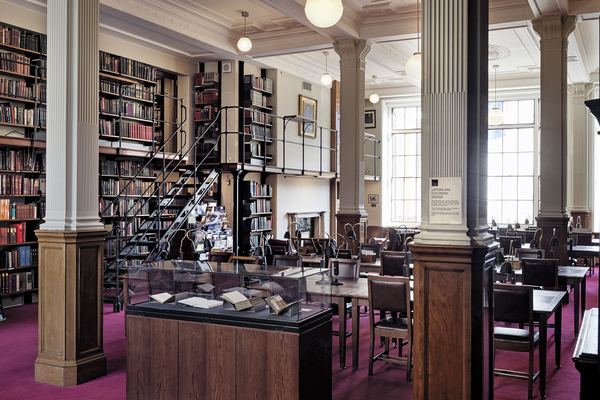 Founded in 1841 by Thomas Carlyle, with founder members including Charles Dickens and JS Mill it first occupied rented rooms in the Travellers Club on Pall Mall, offering a few thousand books to a few hundred subscribing members. Its subsequent growth was rapid: by the end of its first decade it had moved to a Georgian building on its present site in the north-west corner of St James’s Square; and by the 1890s it had outgrown the original 17th-century townhouse, replacing it with a purpose-built library building constructed between 1894 and 1898. The architect of the Victorian building, James Osborne Smith, was largely a designer of schools who had done some refitting work at the Bodleian Library in Oxford. 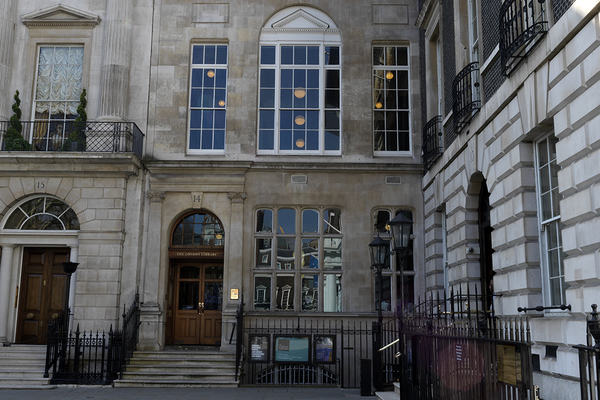 His façade fronting St James’s Square reveals the ground-floor Issue and Enquiry Hall and the elegant and light-filled first-floor Reading Room – with three floors of brilliantly utilitarian cast-iron bookstacks above. This was one of the capital’s first steel-framed buildings, and Osborne Smith used the latest construction techniques to create a further four storeys of bookstacks behind the main building. Further bookstacks were added in 1920 (again designed by Osborne Smith), and in 1934 a further 6 floor wing was added with reading rooms designed by architects Mewes Davis (designers of the Ritz). Further buildings were incorporated in the 1990s, and in total 7 buildings have been brought into one on the site, housing over 1 million books and 17 miles of bookshelves. 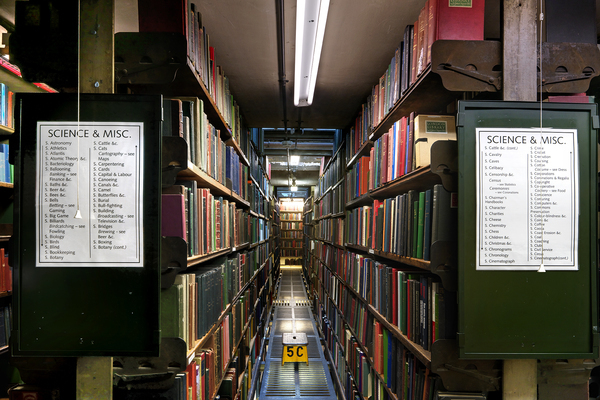 95% of the Library's book collection can be borrowed and the Library has long been a major centre of literary creativity. 10 Nobel Prize winners for Literature have been members here and famous members have included Charles Darwin, George Eliot, Arthur Conan Doyle, TS Eliot, Virginia Woolf and Bram Stoker. It's a literary connection that continues to this day - numerous current writers are members (including Sara Waters, Kazuo Ishiguro, Bill Bryson and Jessie Burton) and the Library serves the needs of thousands of general users, from students to established academics, business people and working professionals to artists and countless others who share a love of the printed word.